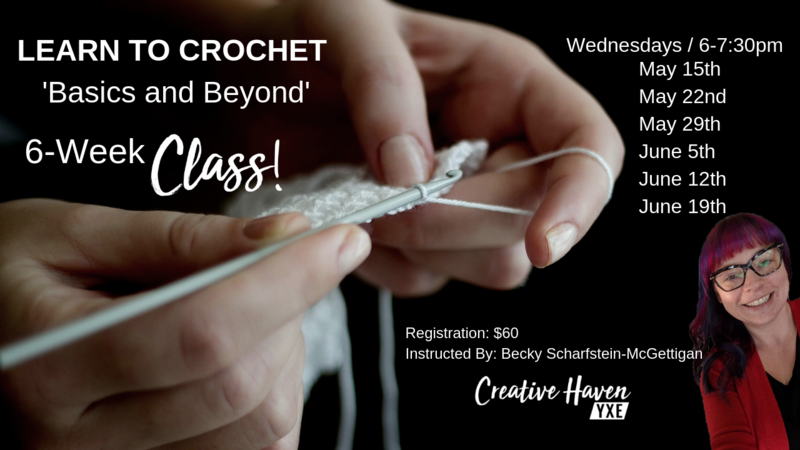 Learn to Crochet 'Basics and Beyond' is a 6 week course. Held every Wednesday night from 6:00pm to 7:30pm. This is a beginner class. No experience necessary. I have been crocheting for close to 30 years and teaching for over 5 years. Crochet is my first creative love. I am passionate about teaching this amazing creative outlet. Crochet offers endless possibilities to express your creativity once you know the basics.